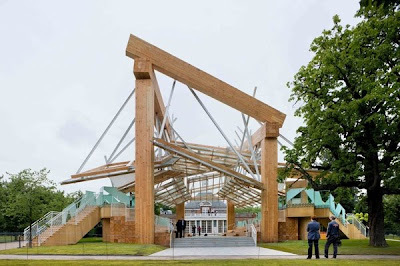 The British edition of the Guardian to submit its selection of the ten most impressive buildings and architecture of the last decade. 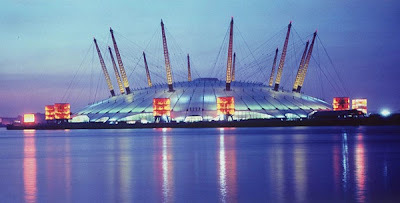 Exhibition Complex Millennium Dome (Millennium Dome) - a giant "flying saucer", built on the banks of the Thames in the London area. 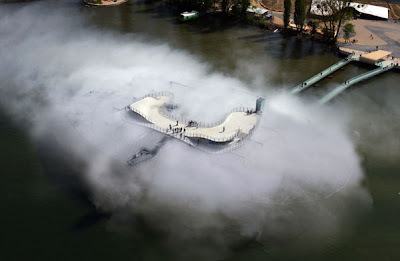 Blur Expo 02, Yverdon-les-Bains, 2002. 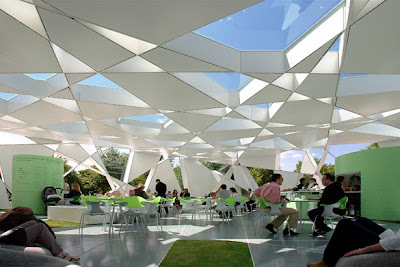 Blair House (Blur Building), designed the pavilion for Swiss EXPO 02 in Yverdon-les-Bains. 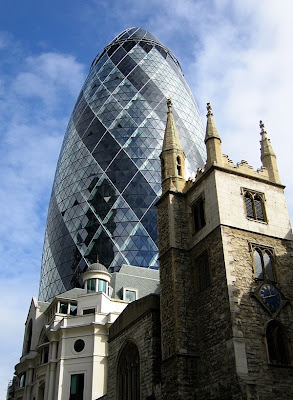 30 St Mary Axe, London, 2003. 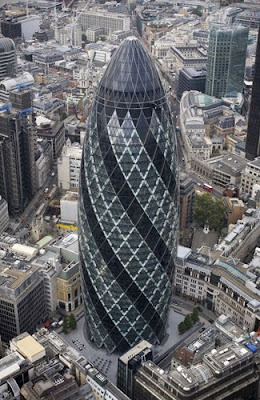 Tower Mary-Ex, 30, or St. Mary's Ex 30 (born 30 St Mary Axe) - 40-storey skyscraper in London, whose design is made in the form of the retina with a central bearing base. Interestingly unfolds before him the panorama of the city and unusual view of central London. 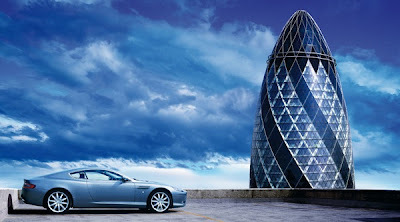 Living in a greenish tint glass and a characteristic shape known as his "cucumber", "gherkin» (The Gherkin). 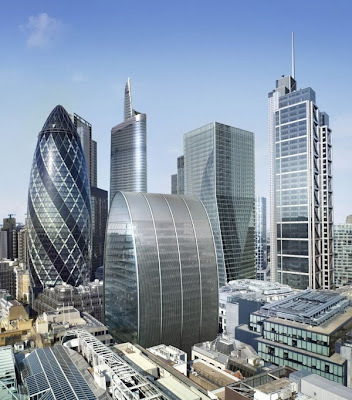 Located in the financial center of London. 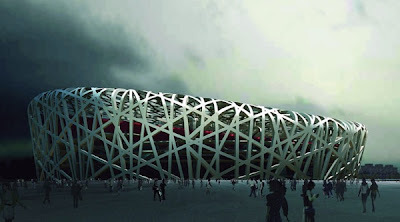 Is the headquarters of the company Swiss Re. The first claim to the title of environmental skyscraper. 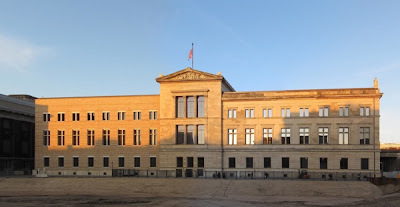 The lower floors of the building are open to all visitors. On the upper floors is a lot of restaurants. 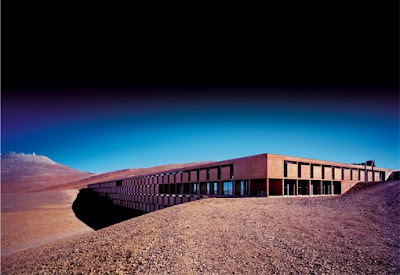 European Southern Observatory Hotel, Cerro Paranal, Chile, 2003. 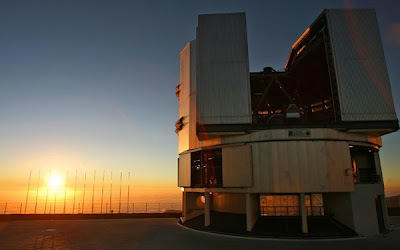 European Southern Observatory, located in Chile. 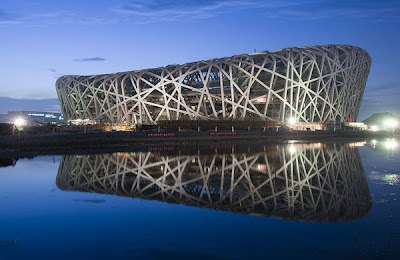 Beijing National Stadium, Beijing, 2008. 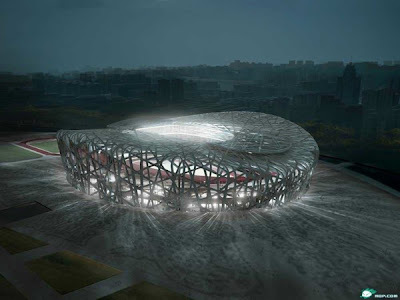 Beijing National Stadium, also known as the "Bird's Nest» (Bird's Nest), was built for the opening of the Summer Olympic Games-2008. 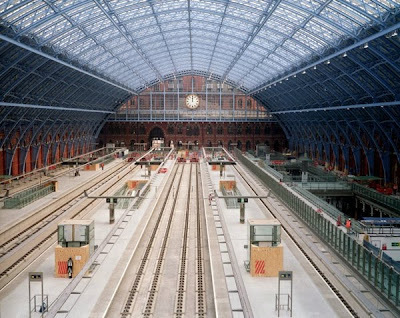 St. Pancras Station, London, 2007. 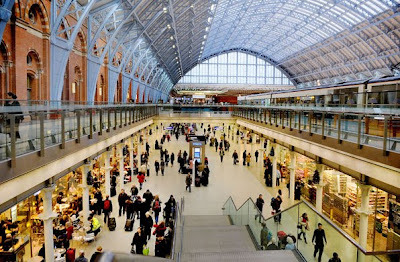 St Pancras - the railway station in central London, north-east of the British Library and west of the nearby Kings Cross station. Named after the nearby church of St. Pankratov. Station building, erected in 1865-68 years. - One of the most striking examples of English neo-Gothic architecture of the Victorian period. After the reconstruction of November 14, 2007 is a terminal for the Eurotunnel. It also trains to the north of England (in particular, in Yorkshire). 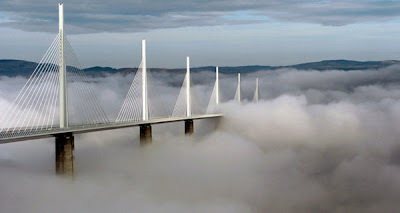 Le Viaduc de Millau, Aveyron, 2004. 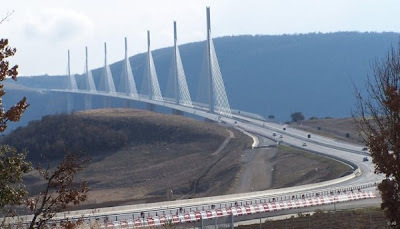 Millau Viaduct (Millan) (Fr. 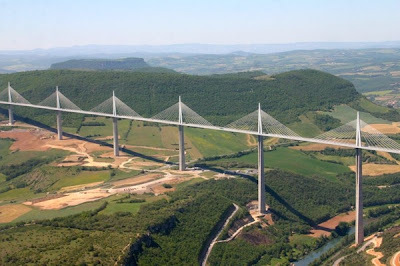 le Viaduc de Millau) - cable-stayed road bridge that passes through the valley of the River Tarn near Millau in southern France (department of Aveyron). The bridge is the last link in the route A75, providing high-speed traffic from Paris through Clermont-Ferrand to the city of Beziers. This is the highest traffic bridge in the world, one of its pillars has a height of 341 meters - slightly higher than the Eiffel Tower and only 40 meters lower than the Empire State Building. 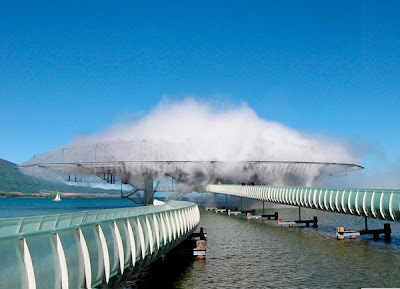 The bridge was inaugurated on December 14, 2004, and for the movement - December 16, 2004. 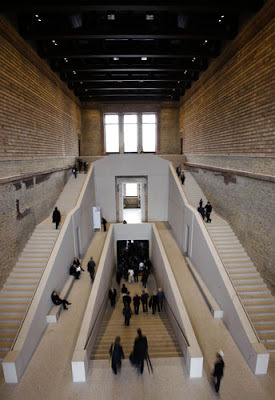 Cemdesyat years stood closed New Museum (Neues Museum) in Berlin, famous for its Egyptian collection, reopened to visitors on Oct. 17, 2009. 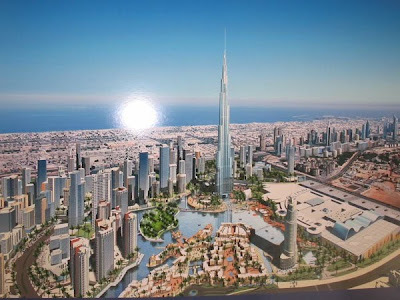 Dubai Tower (Arabic: برج دبي - Burj Dubai) - skyscraper resembling the stalagmite, is almost completed and will be ready for habitation on Jan. 4, 2010 in the largest city in the United Arab Emirates - Dubai. 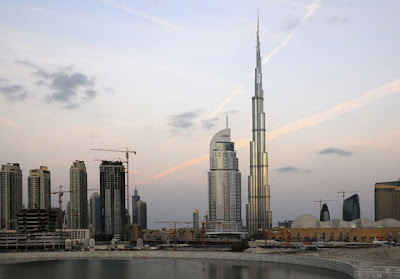 On July 21, 2007 - the tallest building in the world. C May 19, 2008 - the highest ever building which exists in the world (before this record belonged to the fallen in 1991, the Warsaw radio mast). 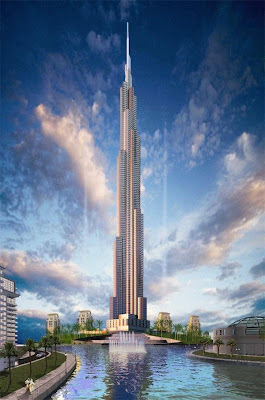 The exact final height of the buildings still unknown, and the estimated amounts to 818 m (with the number of floors - more than 160). Construction is almost complete.